There are seven legislative assembly constituency in Deoria district for the 2017 Assembly elections. They are 342 Barhaj, 340 Bhatpar Rani, 337 Deoria, 338 Pathardeva, 339 Rampur Karkhana, 336 Rudrapur, 341 Salempur. When Uttar Pradesh assembly election 2017 is getting ready to electios new Assembly, Deoria is not anywhere behind in the election heat. 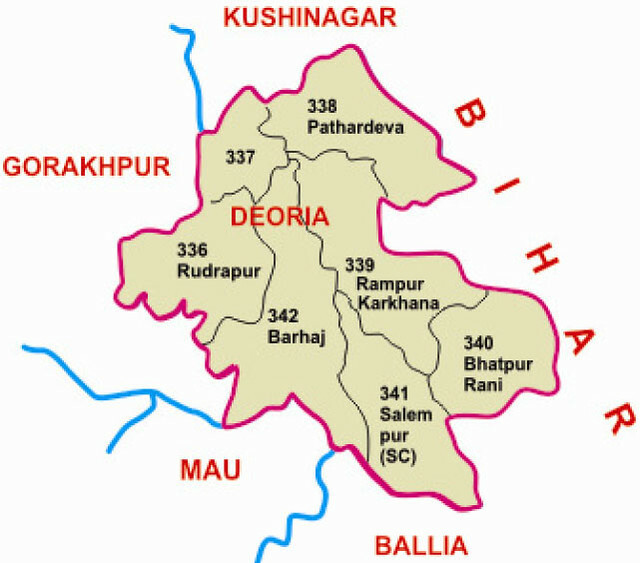 Deoria district is one of the districts of Uttar Pradesh state of India, and Deoria town is the district headquarters. Deoria district is a part of Gorakhpur division.